A country of never-ending sunsets, northern lights, and home to over 50 thousand islands and fjords, Norway has always been a haven for nature enthusiasts. But now it’s also becoming a haven for techies. Norway is home to one of the fastest growing startup ecosystems in the Nordics. In the first half of 2018, the country raised $185.8 million in investments, a full 76.3 percent increase compared to H1 2017. If you compare that to a 2.2 percent increase across the entire Nordic region, it’s clear that Norway’s tech scene is growing at an explosive rate. Norway’s up and coming startups are playing a key role in transitioning the economy to a tech-focused future. With full backing from both the government and the monarchy, Norway’s startup scene should be on everyone’s radar. Today we highlight Norway. 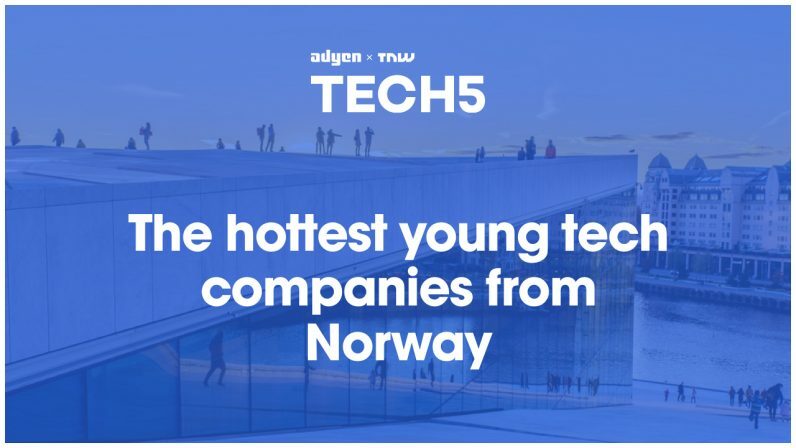 We did our research, consulted with our advisory consortium of 100 investors, influencers, entrepreneurs, and experts across Europe and selected the five hottest young Norwegian scale-ups. Look no further, you’ve found your new (artificially) intelligent assistant! Boost.ai delivers conversational artificial intelligence, developed especially for enterprises. It was founded in 2016 by brothers Lars and Hadle Selsås and Henry Vaage Iversen. Since then, they’ve raised more than $5 million and secured deals with more than 90 major Scandinavian organizations, such as Nordea, Telenor, DNB, Telia and Santander bank. Now the company employs more than 70 ambitious techies with the same goal: To deliver conversational AI to large organizations, transforming their customer experience through chat. Timely is an AI and ML (machine learning) based time tracking system that enables employees to easily track what they’re working on, creating instant and accurate time sheets. Currently, it’s being used by over 4,300 businesses across 160 countries. It was founded in 2013 by Mathias Mikkelsen and bootstrapped until 2016 when it raised its first $1 million. The Timely team then brought on two investors (SNÖ Ventures and 500 Startups) that helped them take the next steps. In October 2018 they raised an additional $5 million in an investment round led by Concentric and Investinor, with participation from existing investor SNÖ Ventures, with which they’re planning to double their team, refine Timely’s AI model and accelerate international growth. If you want to get to the bottom of exactly what you’re paying shipping companies to send your cargo around the world and how your rates compare to the market, Xeneta is the platform for you. Xeneta is the leading ocean and air freight price comparison and shipping market watch index. It aims to transform the shipping and logistics industry by making it more transparent. Xeneta’s shipping index comprises over 85 million contracted rates and covers over 160,000 global trade routes. So far, it’s been named Norway’s “Startup of the Year 2016”, a Gartner “Cool Vendor 2018” in Supply Chain Execution Technologies, and has raised over $20 million. Xeneta are now continuing their exponential growth with recent commercial expansions to the U.S. and Germany counting some the world’s leading companies as customers such as Unilever, Lenovo, Nestle, Electrolux. Kolonial.no is using technology to bring supermarkets to your front doorstep. Now I know what you’re thinking, just another supermarket retail shop/app, but the team behind Kolonial.no have gone a big step further by developing their own logistical system, for both picking and distributing groceries to their customers. Their native and personalized app for iOS and Android allows you to shop for recipes and groceries in no-time. You can even choose a set menu for the week, and all your shopping will be done for you easily through the app. The average customer saves more than 60 hours a year by shopping for groceries online. Kolonial.no has already raised over $70 million, making them the highest valued startup in Norway. I’m pretty sure that if Kahoot was around when I was in high school I would have enjoyed class WAY more. The online learning platform from Oslo has been making massive headway with their gamified edtech platform that’s customizable for all ages and levels. They’ve even started to use the technology for business to help with employee onboarding and making training sessions much more fun and interactive. Not only did they receive a $15 million series B round in October of 2018, they also managed to raise an extra investment round from Disney in December, pushing the overall value of the company to just over $375 million.